It’s Saturday night in Clay City, KY and the Friends of Bluegrass are gathered in the Meadowgreen Park Music Hall preparing for the night’s performance. 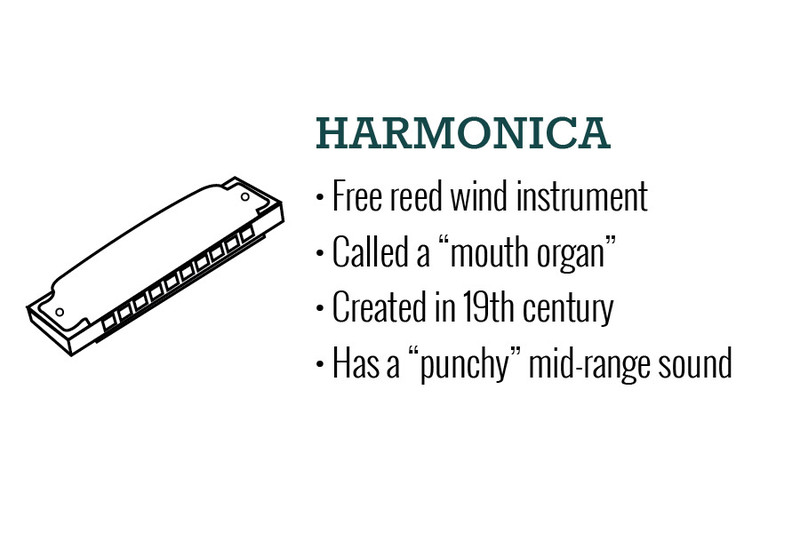 The sounds of breakneck tempos, vocal harmonies and plucked strings will soon fill the air. 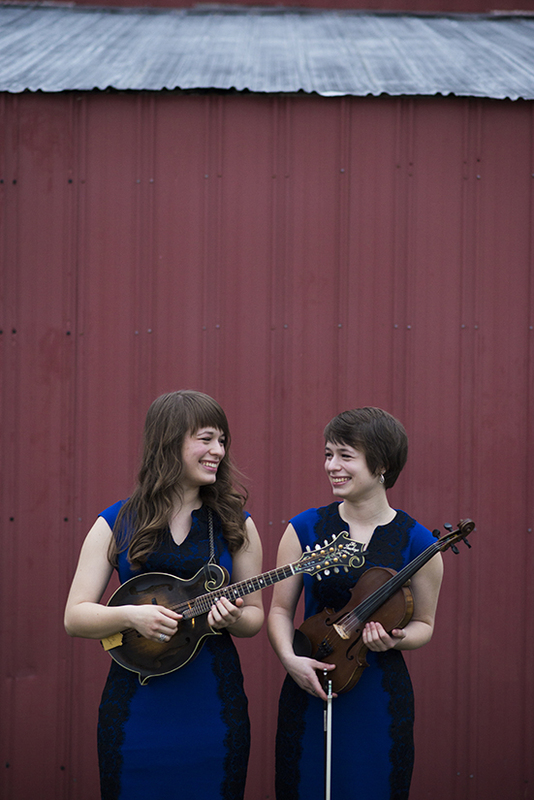 Behind the scenes, The Price Sisters tune fiddles, guitars and banjos. Audience members settle in with their Ale8 fueled anticipation for the band to take the stage. 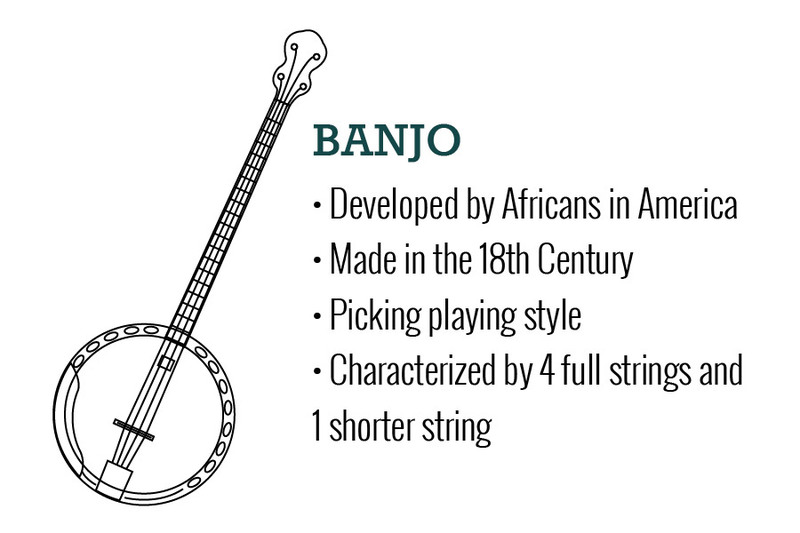 Immigrants from Africa, Ireland, Scotland, and England bring roots of bluegrass to America. Music recording becomes common and results in different musical styles spread across the nation. Country/western, a staple of the south, becomes a national sensation. The Grand Ole Opry begins with live radio broadcasts of performances. Jimmy Rogers and the Carter Family record the first “hillbilly” track – a subgenre of country/western and a precursor to bluegrass. Bill Monroe and the Blue Grass Boys join the Grand Ole Opry. They used a combination of gospel, work songs, folk, country, and blues to create their own unique style. Bill Monroe and the Blue Grass Boys complete their first recording and it is played across the nation. Earl Scruggs, one of the Blue Grass Boys, develops his innovative three-finger banjo picking style known as “Scruggs Style”. This is still commonly used today. The Beverly Hillbillies premier on national television, spreading the influence of bluegrass music to another form of media. 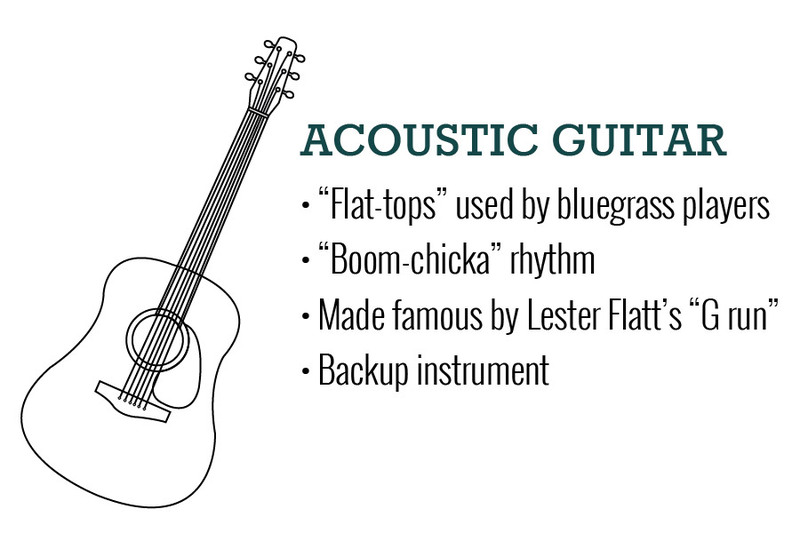 Flatt & Scruggs are the frontrunners of bluegrass musicians, focusing on bringing it to television shows, universities and coliseums across the country. The southern part of the country popularizes music festivals focusing on bluegrass, drawing large crowds of people wanting to hear bluegrass in a more formal setting. “Dueling Banjos” by Deliverance is released and becomes one of the most widely known and recognized bluegrass songs to date. Artists like Dolly Parton and the Dixie Chicks continue to take Bluegrass mainstream by bringing its influences into country/pop music. The Coen Brothers produce the film “O Brother, Where art Thou?” whose soundtrack won the Grammy for Album of the Year as well as Best Compilation Soundtrack Album for a Motion Picture. 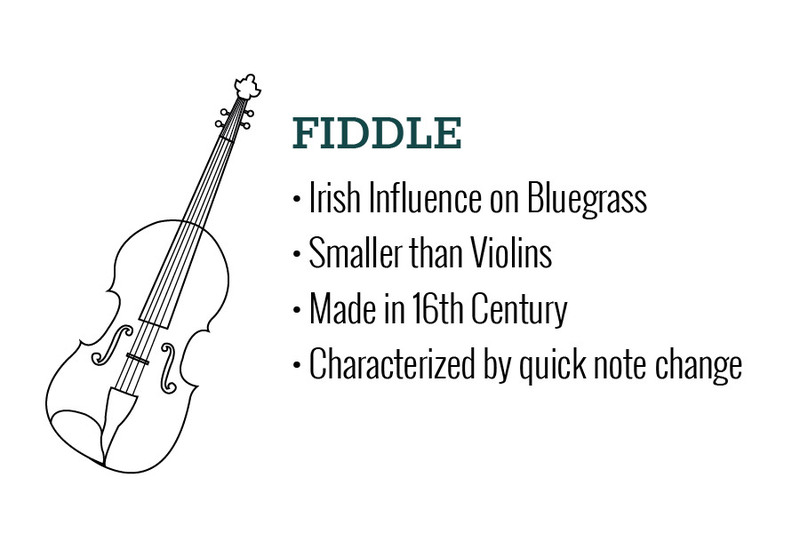 This movie re-popularizes bluegrass music for the generations of the 21st century. Funded by the Kentucky Friends of Bluegrass Music group, the Meadowgreen Park Music Hall in Clay City, Kentucky remains the only building in the state built exclusively for the preservation and performance of bluegrass music. 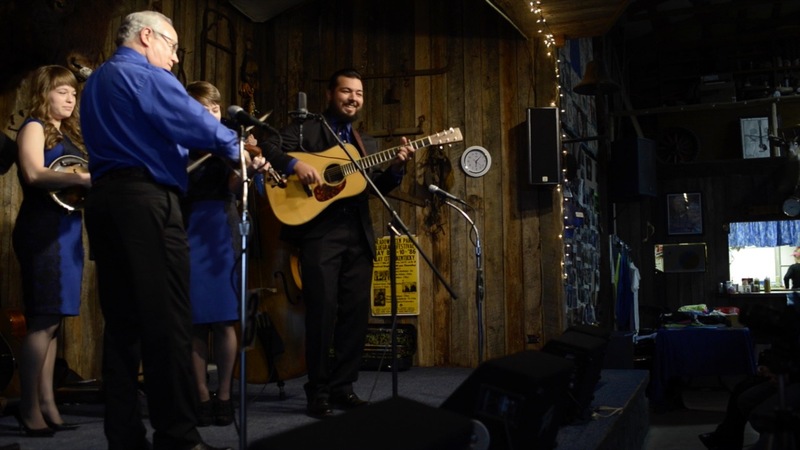 The McLain Family Band, The KCTM Mountain Music Ambassadors, and The Price Sisters performed on stage for a large group of locals and members of the club. Twin sisters Lauren and Leanna Price started singing together around the age of three and learned how to harmonize from their parents and other family members. “We’ve played a lot growing up with our family and it just kind of stemmed from a family band,” Lauren said. Tradition is important to their Appalachian family and a main reason the sisters take such pride in their roots. They picked up their first instruments around the age of nine and quickly began performing at local events. Now, ten years later, Lauren and Leanna continue to perform. Not only are they pursuing degrees in music with a concentration in traditional and bluegrass they also recently signed a record deal. “We’ve grown up playing [bluegrass] on the porch at home in the summer when all the family would get together. It makes me think of our family. It makes me feel at home,” Lauren said. These sentiments resonate with members of the audience as they relate the feeling to their lives. 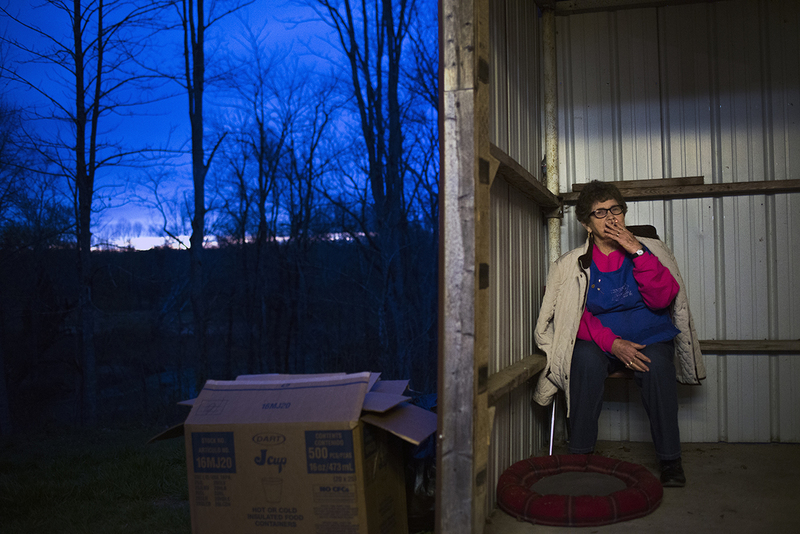 Just as Appalachia covers a vast area of land, people’s memories of bluegrass tend to have a large span. “Whether we play or just listen it’s always been something that brings us together. This whole Appalachian area you find this music in the pockets and hollows. 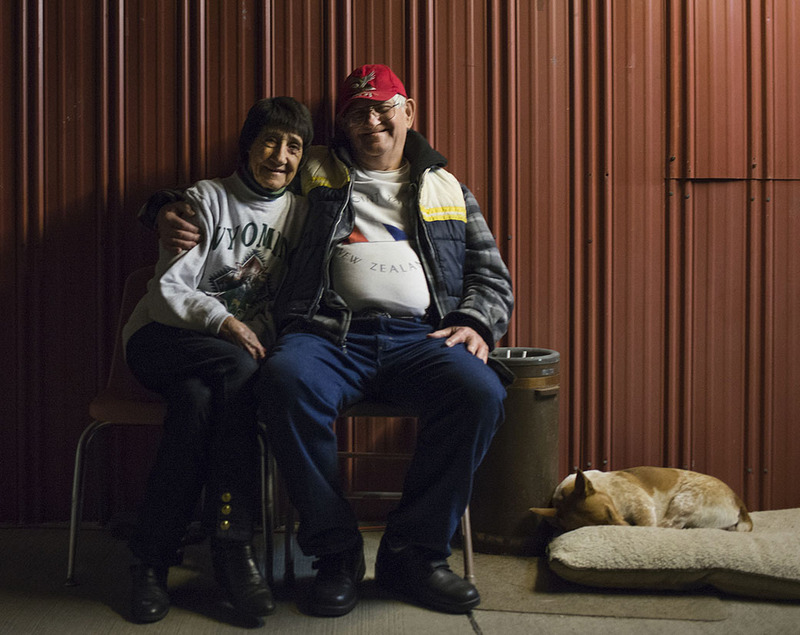 It’s all the same and just makes me think of home wherever I go,” Leanna said. 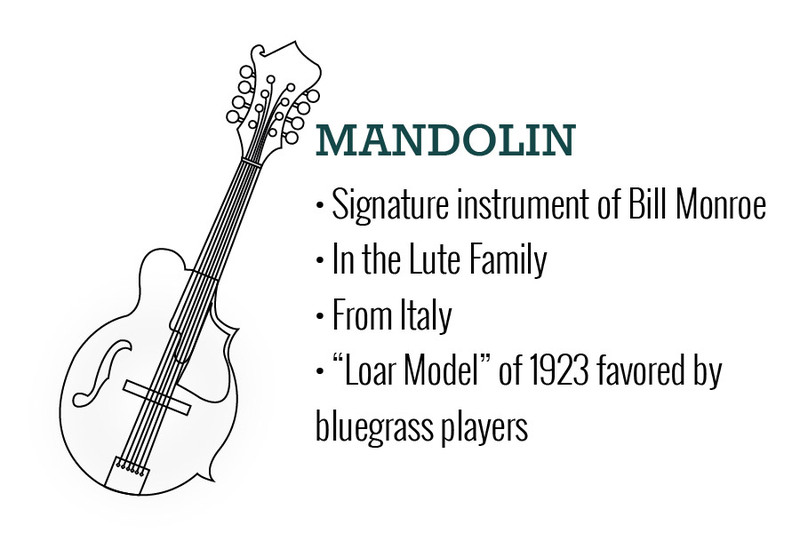 In 1947, a Joe Hardwick could be found in his childhood home in Louisa, KY, listening to Bill Monroe and the Bluegrass Boys on the Grand Ole Opry. With popcorn balls and fudge to snack on, neighbors, aunts and uncles huddled around the battery-operated radio until the musicians in Nashville sign off around 2 a.m.
“I knew when I was growing up, I always wanted to play an instrument, but I was so poor, I couldn’t buy one,” Hardwick, now 73, said. 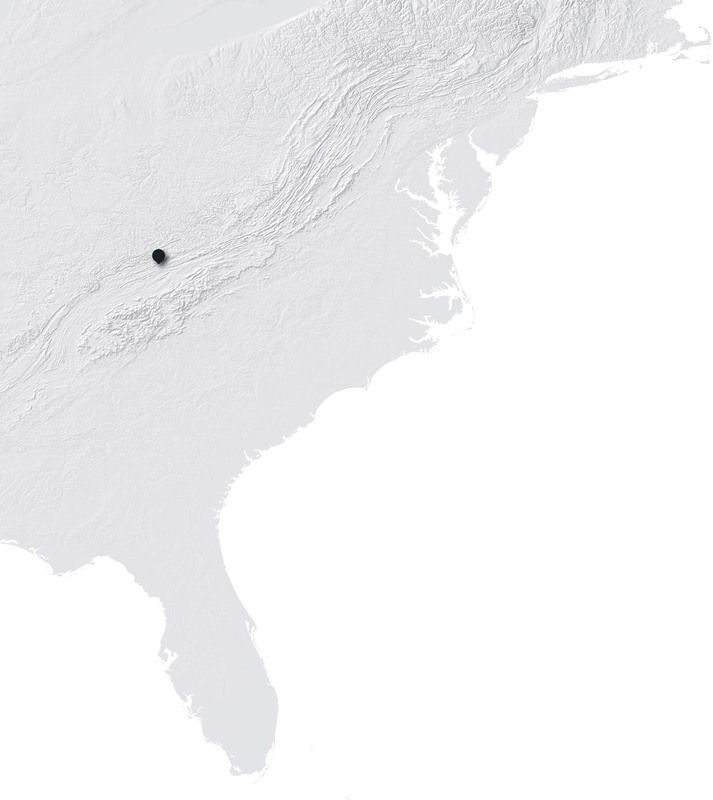 In the past 50 years, he has lived in numerous places in the eastern United States, ranging from Ohio to Florida. During his later years, Hardwick decided to retire in his hometown of Louisa and open a banjo shop. Hardwick builds and repairs instruments for local musicians. When an accident forced him into retirement in 1997, he thought it would be a good time to start constructing banjos. “I needed something to do so I built one banjo in the basement in the house where I lived,” Hardwick said. 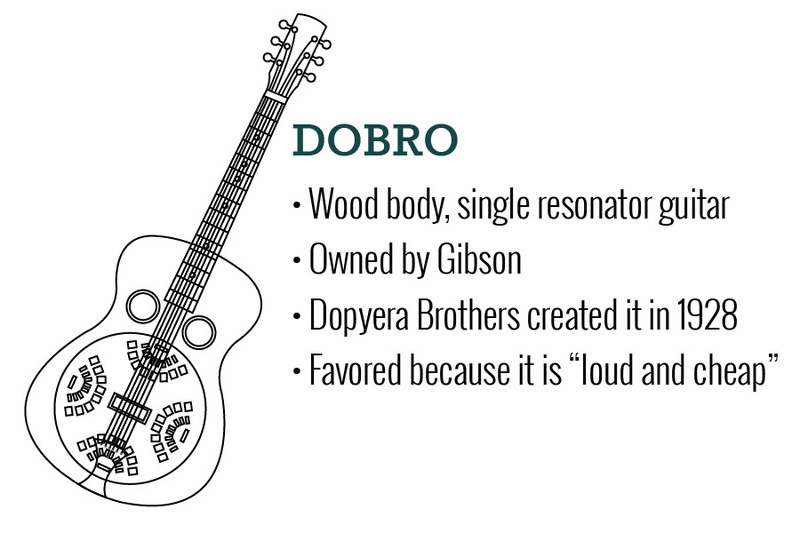 Since then, he has created more than 100 handmade banjos and repaired even more. When he first began, it would take him up to three months to complete just one instrument. Now a seasoned craftsman, Hardwick can bring an instrument from start to finish in three short weeks. Further north sits a small shop off of Route 33 in Nelsonville, OH. 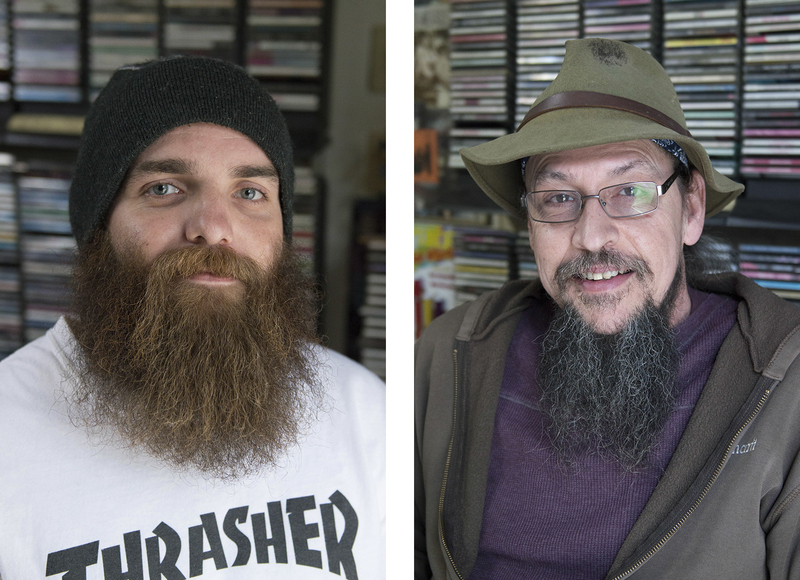 Over sounds of tools clanking, strings twanging and quiet radio noises, Nick Collura and his employee chat idly as they repair instruments for local musicians. Collura has set up the Insea Sound Shop to repair instruments and record music. Though not originally trained in bluegrass, he finds himself largely surrounded by the genre. 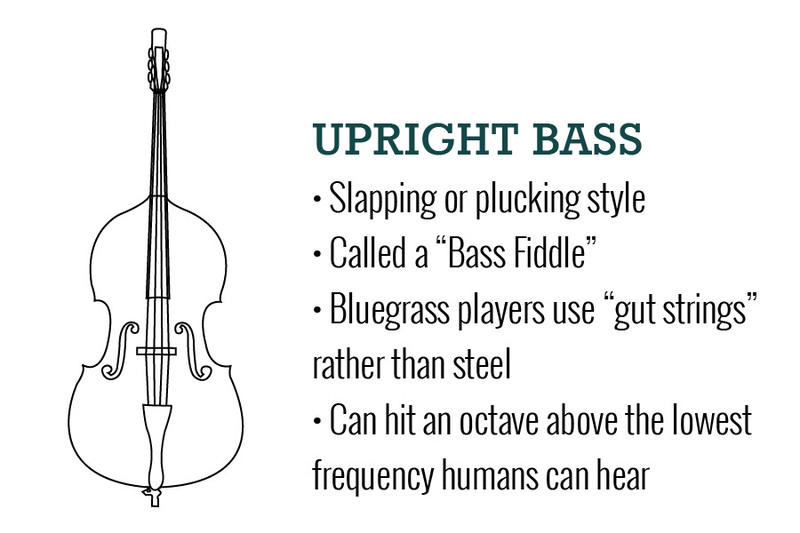 Collura mostly repairs banjos and has since become enamored with their sound. “[I was] just drawn to the soul of it. It seemed real. It seemed working class,” said Collura on bluegrass music as a whole. Working in this region for twenty some years has brought him in contact with a wide variety of people and he likes to think he can relate to just about all of them. When Mike Coe came into his shop to buy a new set of strings for his blues guitar, Collura offered him a job on the spot. Since then, Coe has learned how to repair a wide range of instruments under the watchful eye of Collura. “Almost everybody around here likes bluegrass music because it reminds you of back home and being in the country and having a good time and just enjoying life; enjoying nature and everything like that,” Coe said. After living in the region for some time, he says he has also picked up an appreciation for bluegrass. To him it is a music that brings people together as a community —even just for an hour long live concert, they are neighbors. Nick Collura lights up a cigarette outside of his shop on March 16, 2016 in Nelsonville, Ohio. Mike Coe, left, and Nick Collura, right, help customers with their purchases at their shop. 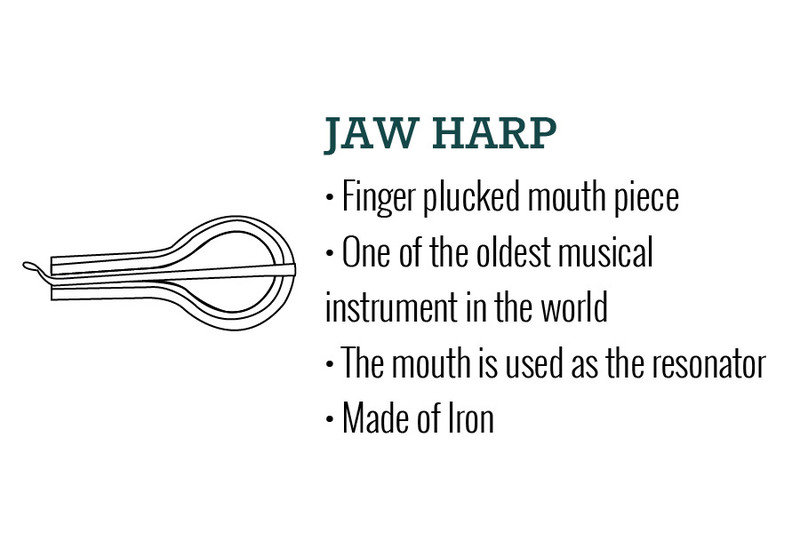 Nick Collura plays a jaw harp, which is a traditional blue grass instrument played by putting the instrument in your mouth and playing it with your hands. Nick Collura shows a broken mandalin in his shop. Mike Coe repairs a banjo for the Insea Sound Shop in Nelsonville, Ohio. He has a tattoo on his hand depicting his initials and a microphone emphasizing his love for music. A custom made telecaster style guitar sits in the shop to be completed. Mike Coe adjusts the strings on a guitar. Nick Collura plays a banjo in the recording studio of his music shop in Nelsonville, Insea Sound Shop.